Ontario, CA, September 03, 2018 --(PR.com)-- Randy explained that the inclusion of new clients and services increased demand for staffing and is the primary reason for the company to branch out into these Utah cities. “Much research has been done on Salt Lake City and its surrounding areas,” he said. “With the expansion into this new territory, we promise to bring more jobs and promotions to the area. White House Marketing is a dynamic communication and business consulting services firm. Their team of marketing specialists is dedicated to leveraging innovative promotional initiatives to empower their clients’ brand growth. They take advantage of cutting edge research and unique channels to consistently exceed clients’ outreach goals. By injecting personal interaction into all of their campaigns, the White House Marketing team is able to build a rapport between businesses and their customers. This has resulted in a track record of superior return on investment and customer acquisition for the firm’s clients. Learn more about the company’s service offerings by visiting WhiteHouseMarketingInc.com. 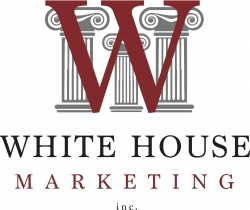 Click here to view the list of recent Press Releases from White House Marketing, Inc.